An affordable Hot Liquor Tank with minimal heat loss! A great way to get into all grain brewing! With this converted Rubbermaid Cooler/Sparge Tank, you get a sturdy, high quality HLT that has minimal heat loss during your sparge! We use the highest quality components: Rubbermaid coolers which cost more than Igloo or imported versions from China, and all stainless steel hardware. 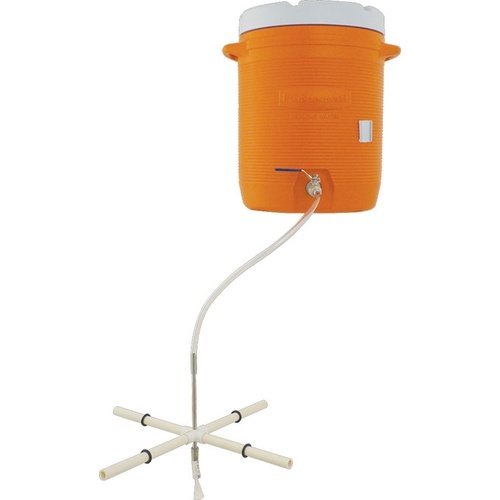 The included Fermentap Sparge Arm can be adjusted to fit on a similar 10 gallon mash tun or most any stainless steel kettle/mash tun.